There are many good reasons to visit Andalucia and today I’ll be discussing a few of them on Newstalk with Ivan Yates. The Irish love Spain with record numbers visiting in 2017 – reaching 2 million for the very first time. Today I’m looking at new things to do in the ever popular Andalucia, home to the Costa Del Sol and many favourite resorts, but I’ll also suggest some novel travel ideas in some of the lesser know provences. Andalusia is the meeting point of two continents, Africa and Europe, as well as the Atlantic Ocean and Mediterranean Sea. It is located at the south of the Iberian Peninsula and is the southernmost point of Europe. Its northern frontier is marked by the Sierra Morena Mountains, which separate the Castilian plain to the north and the Guadalquivir River basin to the south. To the west, the Guadiana River separates Andalusia from Portugal in the province of Huelva.. The region’s network of main roads and motorways now covers more than 24,000 km. The rail network also has two high-speed lines: Seville-Cordoba-Madrid, which has been running since 1992, and the recently inaugurated Malaga-Cordoba-Madrid line. Air traffic in Andalusia has modern, large airports, offering an array of flights to and from the main Spanish and European cities along with many destinations around the world. Andalusia’s strategic position at the meeting point of Atlantic and Mediterranean make its ports, especially Algeciras, major hubs for international maritime traffic. Other ports such as Huelva, Cadiz, Malaga and Almería are the base for major transport services, while the Andalusian coast is also home to thirty-seven marinas; Seville also has various river ports. They are all responsible for generating a great deal of commercial and tourism activity. 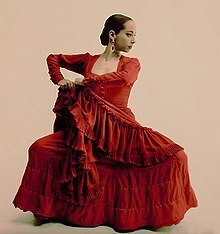 Flamenco, in its strictest sense, is an art-form based on the various folkloric music traditions of Southern Spain in the autonomous communities of Andalucia. 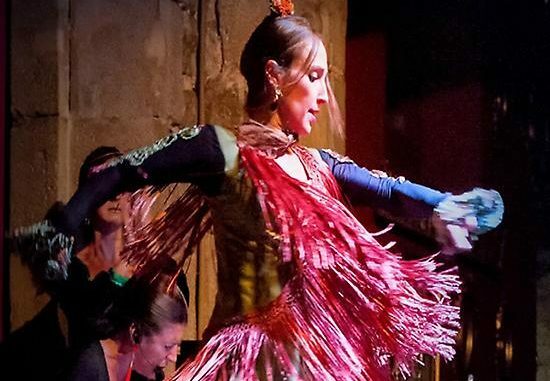 In a wider sense, it refers to these musical traditions and more modern musical styles which have themselves been deeply influenced by and become blurred with the development of flamenco over the past two centuries. 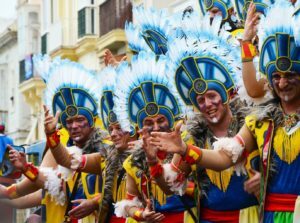 It includes cante (singing), toque(guitar playing), baile (dance), jaleo(vocalizations), palmas (handclapping) and pitos (finger snapping. In 2010 UNESCO declared Falemenco one of the masters of the oral and intangible heritage of humanity. Sherry is a fortified wine made from white grapes that are grown near the city of Jerez de la Frontera. Sherry is produced in a variety of styles made primarily from the Palomina grape. The Jerez Horse Fair (Feria de Caballo) which is traditionally the first week in May is an exciting and lively event that brings the entire city to the Gonzalo Hontoria Fairgrounds, which cover 52,000 square metres, giving ample space for the finest horses of Jerez as synonymous with the city as sherry and flamenco, to show off their moves to the crowds who flock to the two hundred or so casetas which, unlike Seville’s, are mainly open to the public, and other attractions. There are 265 reasons to love Cadiz, with festivals running all year round. You can sit back and rest for the other 100 days of the year. Cadiz is one of the oldest cities dating back 3,000 years. It is best known for its small villages dotted along the coast, Jerez the home to sherry and special horses trained to the highest standard of skill. Vejer de la Frontera has been listed in the top ten of most beautiful villages in all of Spain. Tarifa on the south is a mecca for wind and kite surfing with strong winds from the Atlantic that turn into the Mediterranean around the corner. The Moto GP track hosts an annual event in the calendar and Algodonalas is the perfect spot for adrenaline junkies who like to para-glide. The Jerez Horse Fair consists of joy, fun and purebred animals. The nobility of the horses you can see during the event has made it internationally famous. Of ancient origins (1284), it was originally a livestock market. Over the years it evolved into today’s conglomerate of festivities. Among the different events, mention should be made of the equestrian contests and competitions, and of the marquees set up in González de Hontoria park, adorning its avenues and paths with flowers and garlands over the course of the fair. Several castles and monasteries have been converted into unique boutique hotels and 26% of the land has a special protection order on it. This striking hotel is wonderfully located in the historical centre of Cádiz, close to the best shopping and historical areas of the capital. It is situated just 5 minutes from the train station and 40 km from Jerez airport. This establishment provides guests with a wide array of facilities such as WiFi access throughout the premises, perfect for those who want to stay connected. The spacious rooms have an en suite bathroom with hairdryer, soundproof windows and necessary amenities to allow guests to feel at home. A gym and an outdoor pool with magnificent views of Cadiz are also available to guests. This province is at the most south western coast of Spain. It’s the place where Christopher Colmbus began his conquest of America and in the town of La Rabida stand three replica ships of the Santa Maria, the Pinta and the Nina. 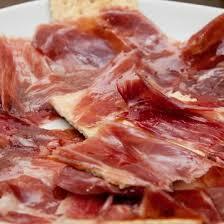 It’s also home to Jabugo Ham which is reputed to be the best in Spain. Wild pigs fed on acorns are the source of meet for this cured ham which is popular all over Spain. This region is also home to some unusual white wine laced with oranges and called the wine of oranges. 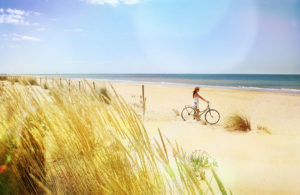 Over 50’s Costa de Luz – The Spanish Algarve! The Costa de Luz is located in the south west corner of Spain. It stretches from Cadiz to the border with Portugal and is one of the most beautiful, peaceful and charming parts of Spain. Noted for it’s natural beauty, national parks and many golf courses, this is an area for someone who wants a quieter vacation, appreciates nature and is ideal for walkers and golfers. The Over 50’s hotel featured is a Barcelo “Premium” hotel located in Punta Umbria near the town of Huelva. All clients fly into Faro Airport. All Bookings subject to booking fee of €40pp & Consumer Protection Levy of €5pp. Flight allowance €160. If flight costs go above this figure, supplements will apply. There are two very unique experiences to be found in Almeria. 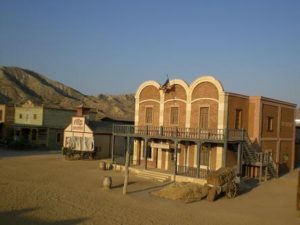 Any fans of the Wild West will be fascinated by the Desert of Tabernas where several films have been made. Most notable among those are the Sergio Leone Spaghetti westerns featuring Clint Eastwood, The Good, The Bad and The Ugly. Steven Spielberg shot parts of Indiana Jones and the Last Crusade here and Ridley Scott used the scenery for his epic film Exodus. 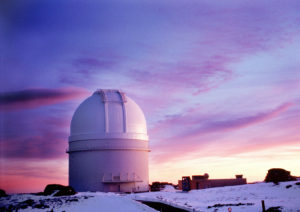 It also is famous for its astronomical observatory which boasts the largest lens in Europe. It’s possible to stay close by and bring the family along for a night star gazing. Along the coast, Almeria has some of the least spoilt beaches in Spain. Del Cabo de Gata national park is especially scenic with spectacular natural formations and reefs at it most undeveloped points. An ideal location to stay and explore is at Mojacar which is only one hour from Murcia and Almeria airports. This village belongs to the list of most beautiful villages in Spain. The Capital of Andalucia is always popular with spectacular architecture and sites such as the Real Alcazar and the El Torre Giralda and Cathedral. 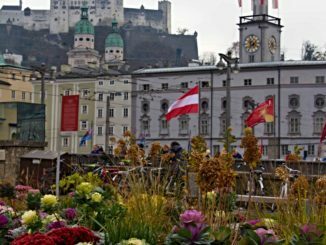 With flights operating year round now, the winter is an especially good time to visit this beautiful city. The Plaza de Espana is especially worth a visit to soak up the atmosphere of the great expo of 1992. But highlights include the moorish architecture and grandiose baroque buildings. But do make time to visit the Biennale de Flamenco if you are travelling in September. It will run for the entire month and there will run a series of exhibitions this year of the artist Murillo who is celebrated 400 years after his birthday. The classic cultural triangle of Cordoba, Granada and Seville are an option for those passionate about architecture. Once a city viewed only as an airport base it is now having a revival. The birthplace of Picasso the father of modern art and Antonio Banderas actor and director, has seen a renaissance. Málaga has become a true City of Museums. There are 37 museums, most of them concentrated in the historic quarter, making Málaga’s old town one of those with the highest density of museums. From €529pp for the 4 star Perla Marina Hotel. Price is per person based on 2 adults sharing for travel in October 2018.